Voters will select one of the state's Public Service Commissioners on that date. As the Georgia governor's race still hangs in the balance, voters will decide on at least two other midterm races during a Dec. 4 runoff. There will be a runoff for the Georgia Secretary of State's office, vacated by Brian Kemp last week. Republican Brad Raffensberger received 49.13 percent of the vote in the general election and Democrat John Barrow received 48.64 percent of the vote. Libertarian candidate Smythe Duval received 2.23 percent of the vote in that race. Raffensberger and Barrow will be on the runoff ballot statewide on Dec. 4 for voters. In addition, the Georgia Public Service Commission, District 3 race came to a tie during the general election. District 3 covers Fulton, DeKalb, Rockdale and Clayton counties. RELATED: TIMELINE: What has happened in the Georgia governor's race? RELATED: When will there be a runoff for Georgia midterm elections? In that race, Republican incumbent Chuck Eaton only received 49.74 percent of the vote, while Democratic challenger Lindy Miller received 47.60 percent of the vote. Libertarian Ryan Graham received 2.66 percent of the vote in the race. The Georgia Public Service Commission is a state body that regulates Georgia's public utilities. However, unlike similar state agencies across the nation, Georgia's PSC does not regulate water and sewer companies. Both of those functions are separately administered. The six commissioners cover six districts across the state and are elected to six-year terms on a rotating basis. The polls will be open statewide on Tuesday, Dec. 4 at 7 a.m. through 7 p.m. 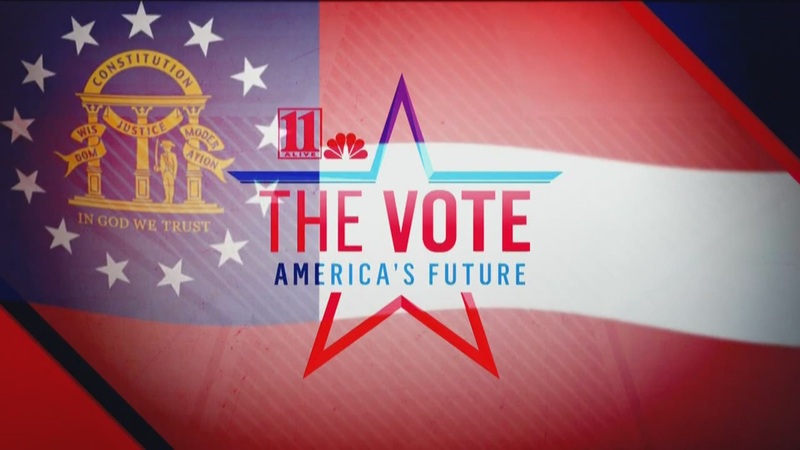 The week prior to the runoff election - Nov. 26 to Nov. 30 -- there will be early voting available across Georgia, though details have not been released by most counties yet. Members of Georgia's Public Service Commission serve in six districts across the state, but are selected by voters through a statewide election, as noted in Georgia State Law (O.S.G.A. § 46-2-1).